It’s no secret that people love driving around in a new Volkswagen from Herman Cook Volkswagen in Encinitas, CA, but what are people who want zero tailpipe emissions supposed to do if they also love driving around in a new Volkswagen? Well, the answer to that is simple – they need to get behind the wheel of a new 2019 Volkswagen e-Golf. Thanks to an impressive fully-electric powertrain, a stylish and sporty exterior, a spacious and comfortable interior, and a comprehensive suite of advanced new safety, technology, comfort and convenience features, the 2019 VW e-Golf is the electric hatchback that leaves all other electric vehicles in the dust. Now, we know some people are still hesitant to get behind the wheel of an electric vehicle, but the 2019 e-Golf lineup will put any of those concerns to rest quickly. Still not entirely convinced? Come in for a test drive here at Herman Cook Volkswagen near Escondido, CA, today and see for yourself. 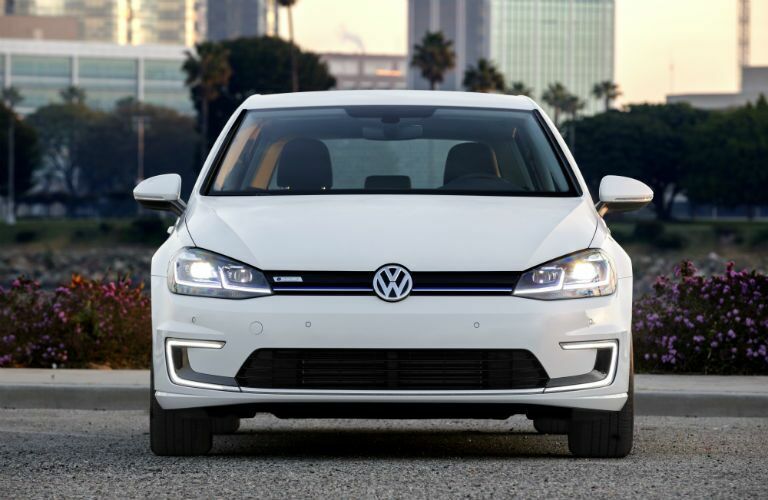 What Makes Up the Fully-Electric Powertrain of the 2019 VW e-Golf Lineup at Herman Cook Volkswagen near Carlsbad CA? The biggest fear most people have when it comes to fully-electric powertrains is running out of power in the middle of nowhere and being stranded. But that’s not something you have to worry about with the 2019 Volkswagen e-Golf lineup here at Herman Cook VW because the 2019 e-Golf lineup features an EPA-estimated total driving range of 125 miles. This impressive driving range is thanks to the 2019 VW e-Golf lineup’s equally impressive fully-electric powertrain – a powertrain that’s made up of a 100 kW synchronous permanent-magnet alternating current motor and a lithium-ion battery. When it’s all said and done, you’re getting 134 horsepower and 214 pound-feet of torque from this fully-electric powertrain – which just so happen to be power ratings previously thought impossible from an electric vehicle. Interior space is another concern for those wary to sign on the dotted line for a new electric vehicle, but it’s also something people don’t have to worry about with the 2019 Volkswagen e-Golf lineup. 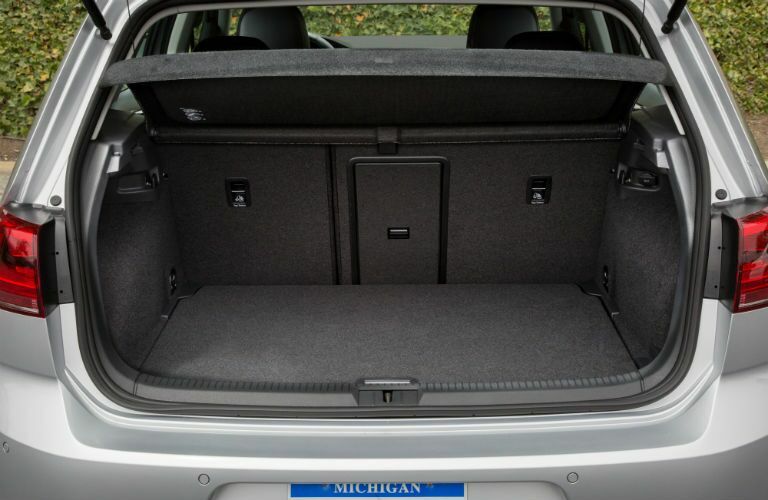 That’s because it features 93.5 cubic-feet of passenger space and up to 52.7 cubic-feet of cargo space. 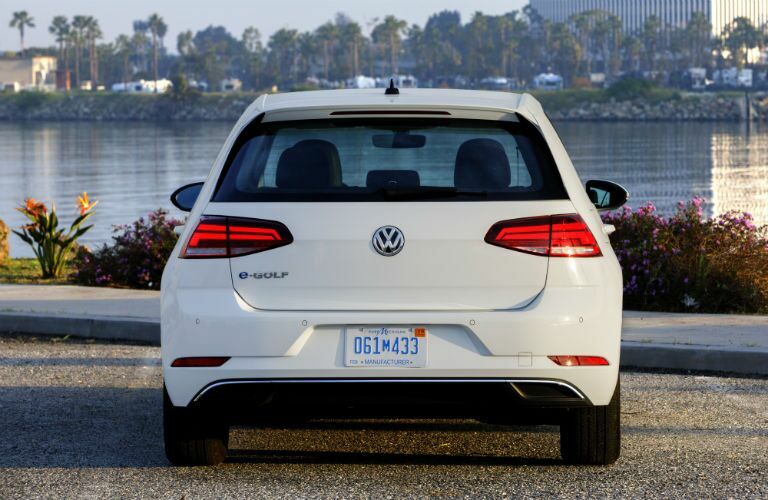 For more on the 2019 VW e-Golf lineup, please contact our Herman Cook Volkswagen staff here in Encinitas, CA.